In Clyne Gardens you will find 50 acres of picturesque oak woodland, a wild flower meadow, viewing tower, bog garden and formal gardens complete with historic architectural features and the tallest magnolia in Britain! 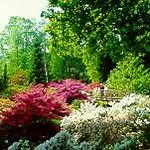 Together with internationally acclaimed collections of Rhododendrons, Enkianthus and Pieris, with many species being unique to Clyne. 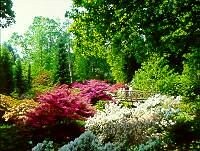 Rewarding at any time of year, but at their best in May, the internationally famous Clyne Gardens offer a haven of tranquility just a short step from the busy seafront at Blackpill. Sustainability, Community involvement, Conservation and heritage, Healthy, safe and secure, Well maintained and clean, and Marketing and management.